Reproduction in whole or in part without written permission is prohibited. Sisters Oregon Guide and The Nugget Newspaper, Inc. assume no liability or responsibility for information contained in advertisements, articles, stories, lists, calendar, etc. within this Web site. The Sisters Oregon Guide (The Nugget Newspaper, Inc.) reserves the right to decline any advertising. 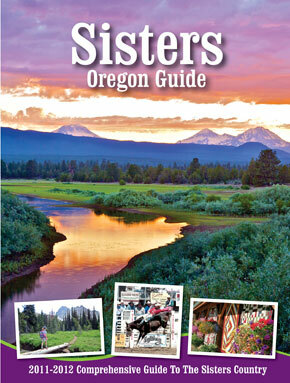 All advertising which appears in the Sisters Oregon Guide is the property of the Sisters Oregon Guide and may not be used without explicit permission.